That was the title of the email I received at 11.15pm. 7.15am is referring to the start time of the tour the following morning. I had no idea where I was supposed to be. 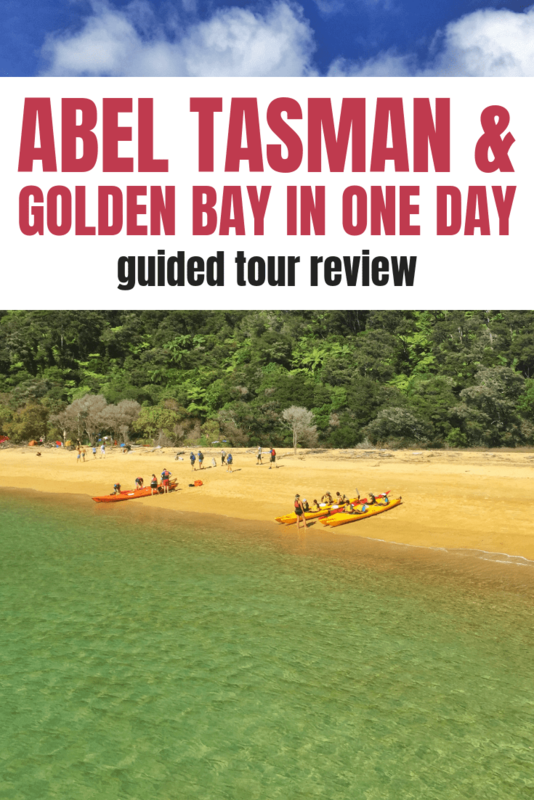 This post will recap my experience of the Abel Tasman Golden Bay experience booked via Bookme. As one who normally does self-guided travel I was nervous about booking this trip. Would it be too long? Is the guide going to be annoying? Will we actually see anything? And of course, was the value good? This particular tour is organised by Tasman Tours and they came to the party right away. I instantly ran into a minor issue given that I was booking the tour for the morning, well after business hours. The listed time, 7.15am was for Motueka departures. I had no idea how they organised people to come from Nelson and what time this happened. Thankfully the tour guide was still awake and let me know how to catch the shuttle bus from Nelson (normally this is booked in advance) in addition to letting me know how the tour starts. A+ for customer service. Advice: At the latest book this trip during business hours the day before. The shuttle did indeed pick me up on time (7 am at Founders Park), and after running around Nelson picking up other people we made the drive out to Kaiteriteri. 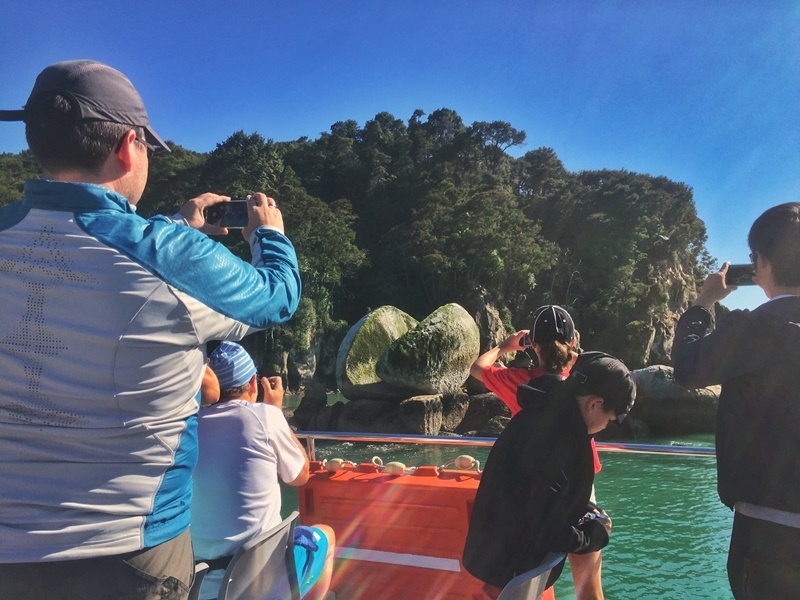 This is one of the two main departure points for all Abel Tasman National Park activities. The Sea Shuttle To The Other End Of Abel Tasman NP. After picking up my ticket from the Abel Tasman Sea Shuttles (as per the email), there was a 30-minute wait until the boat was leaving (9 am). That was perfect and gave a chance to have a short walk around the resort towns beaches. I then jumped on board the charter boat that was close to capacity. 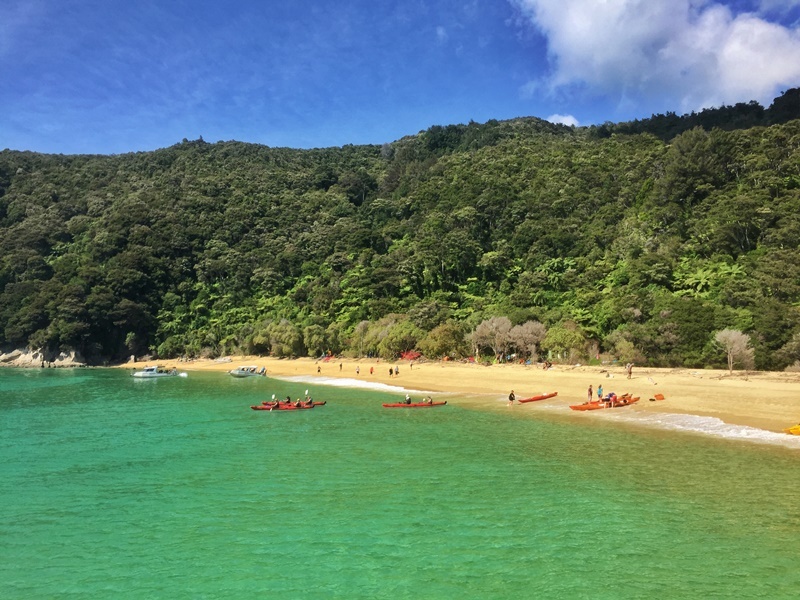 It is one of the several boats that leave from the beach and take people to various beaches in Abel Tasman National Park. I was due to get off at the last stop Totaranui, beach where the guide from Tasman Tours would meet us. I was a bit skeptical about this, would the guide be there? Turns out she was waiting for us as soon as we got off the ramp. On the boat I sat upstairs and in addition to dropping people off at the various beaches along the way (which are gorgeous to look at), we went by Split Apple Rock and Tonga Island where some seals were sunbathing on the rocks. When you book this tour, the ferry ticket is included in the price and booked on your behalf. Make sure you treat the boat ride as an activity rather than a form of transport from A to B to maximise your day. Abel Tasman is gorgeous! 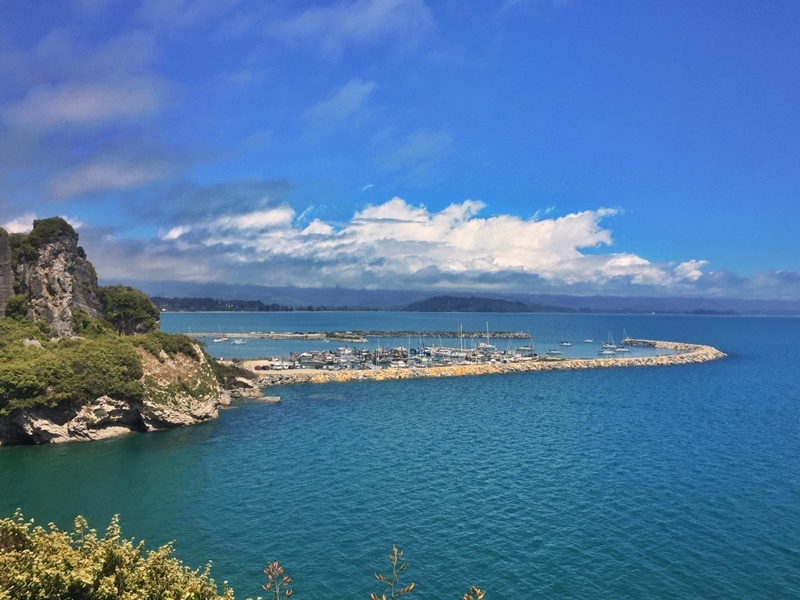 The ferry left Kaiteriteri at 9 am and arrived in Totaranui at 10.45 am. 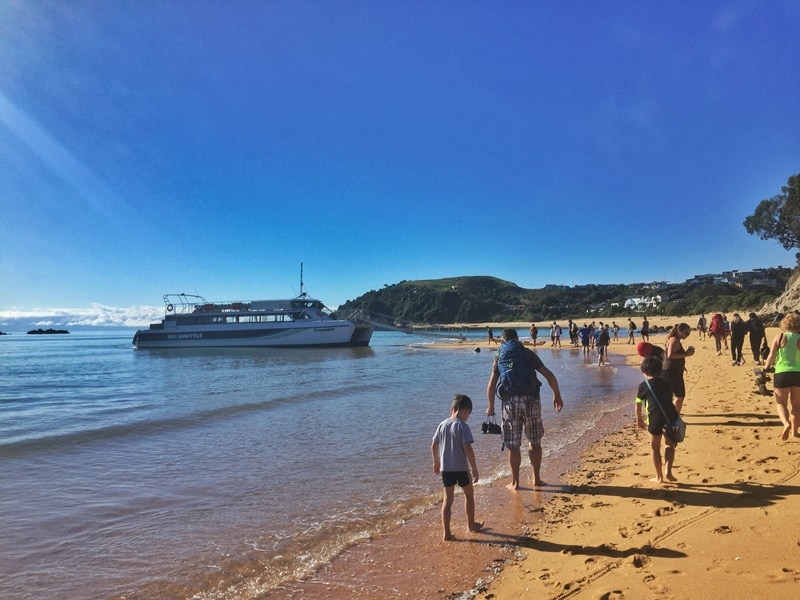 After a quick introduction and meeting the other (four) people on the tour, we were given 30 minutes to hang out on the Totaranui beach as that the rest of our tour would be away from the beaches as we left Abel Tasman National Park and ventured to Golden Bay by van. Our first stop in Golden Bay was at the Abel Tasman Memorial overlooking Ligar Bay (less than a 10-minute walk from the road). The monument was built in 1942 to acknowledge the visit by Abel Tasman in 1642. After less than 10 minutes driving we arrived at our next stop, The Grove Scenic Reserve. 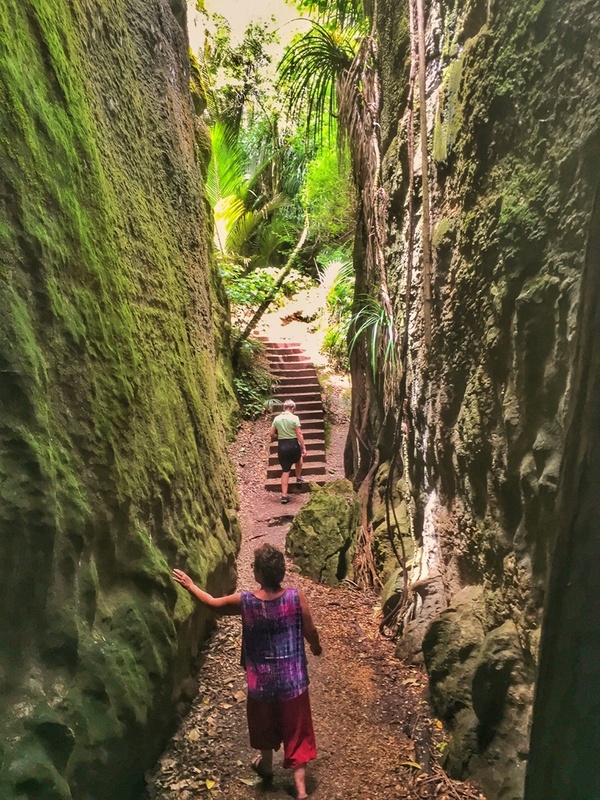 This is a stunning little walk through a Nikau Palm Forest and some epic limestone features. The walk is an in and out stroll to a lookout. A sneaky nice walk! It might not seem like much, but both of these short walks were cool. Definitely two I’d have never considered doing on my own. After this it was time for lunch. We went to the main town in Golden Bay, Takaka which was another 10 minutes away. When I say the main town, that doesn’t mean it is large and is a village in reality with a permanent population of 1,149. We had 1 hour here for our lunch (buy your own). There isn’t much to see in the town, but there are plenty of restaurants to choose from. 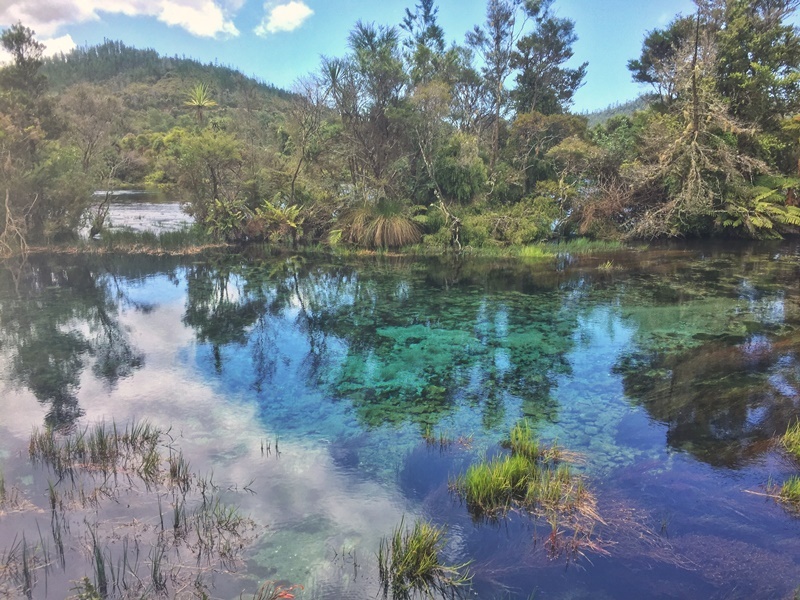 Our final stop on the top was to see the Te Waikoropupu Springs, yet another 10-minute drive away. I can’t believe I’d never heard of these before. I was super stoked the tour went here. The springs push through 14,000 litres of water per second! To reach the springs, there’s a loop trail that takes 15-minutes to walk around. We spent probably 25 minutes here…if you were allowed to swin here, you’d want to stay for ages. Otherwise, 25 minutes is plenty of time. After the springs, it was time to drive back to Motueka in what was essentially the end of the tour. After the van dropped us off in Motueka, there was a five-minute wait and then we were picked up by the shuttle who returned us to Nelson. I was back by about 5 pm I believe. Very little downtime, it is go, go, go. How Much Did The Tour Cost? The full retail price of the tour is $206. Fortunately, I paid $123.60 (saving $82.40) by booking on Bookme.co.nz. I would say the discounted price is good value…I wouldn’t pay $206 for it though (budget traveller here). Alternatively, you can book the tour at full price on GetYourGuide and TasmanTours.co.nz. I’m not a big tour person yet I didn’t find myself flustered at all on this trip. 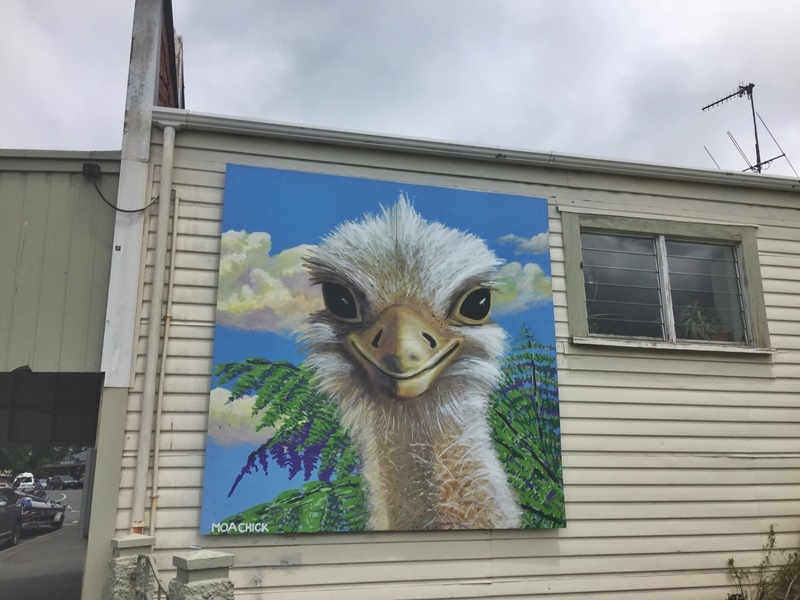 The drive from Nelson to Kaiteriteri is a pain, but there is the option to be picked up in Motueka which would make the day that much shorter. I got some reading done so that was cool. 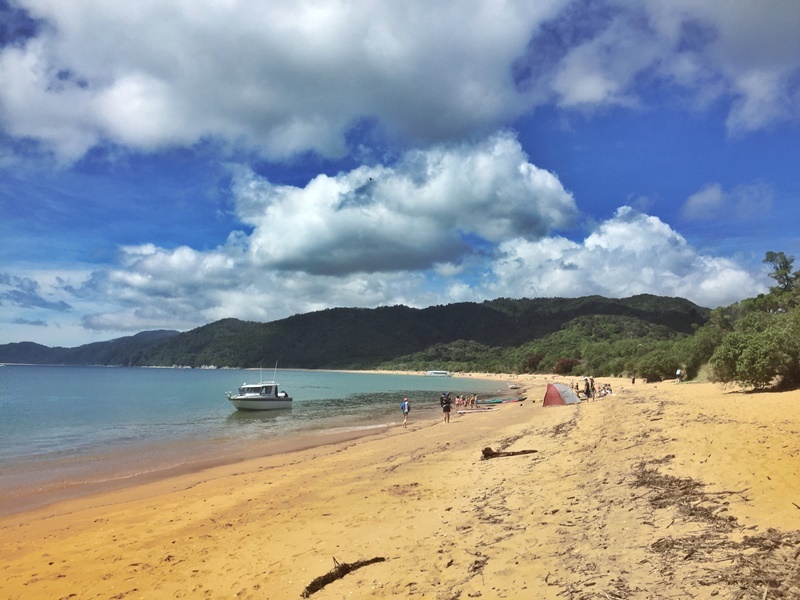 Overall I was pleased with the trip and it does what it sets out too do, give you a brief look at both Abel Tasman National Park and Golden Bay in a day which is tough to do solo. And as always, the bits of pieces you learn along the way are cool too.